Second Wave Apparel has a small collection of gorgeous bangles & leather cuffs. 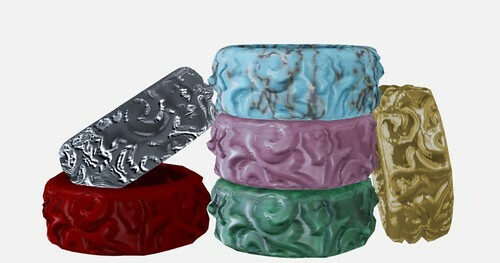 I’m loving the Asian Bangle (available in 6 colors) and the gorgeous Torqouise Heart Leather Cuff. These are all sculpted, and they’re simply amazing.